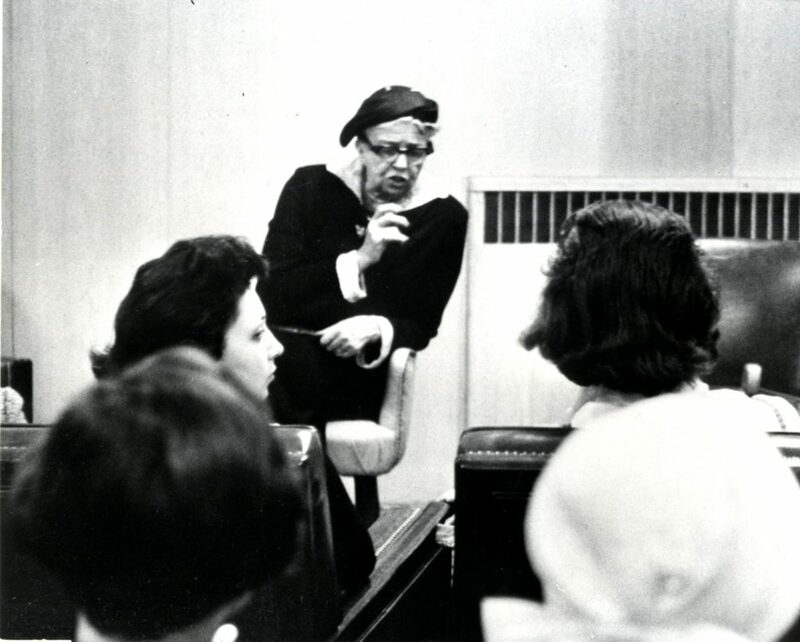 Eleanor Roosevelt visited Stern College on May 22, 1958, and conducted a fireside chat with a group of Stern students. The visit was part of “Stern College Month,” a month long series of events held starting on May 19, heralding commencement day on June 19, 1958. Mayor Robert F. Wagner proclaimed “Stern College Month” in honor of the first commencement of Stern College, New York city’s newest college for women at the time. Yeshiva University published a pamphlet entitled “America’s Leaders Look at Woman’s Role Today” in June 1958; the booklet included some of Eleanor Roosevelt’s discussions with the students. This year marks the sixtieth anniversary of Stern College’s first graduating class, the class of 1958.